We offer a variety of services and solutions to meet diverse and challenging business needs. Find out what we can do for you. Our portfolio is a collection of our most recent projects. We are committed to our clients and creating long-term relationships. 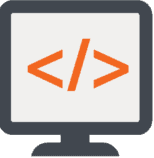 Get answers to all of your questions about web design, hosting, and business solutions. Contact us for more information. To create a unique website design that will enable individuals and businesses to promote their products and services. We believe that our clients come first and to help them reach their goals. Creating a unique website that is tailored to our clients needs is something that we take pride in. We promise to create a website that you can be proud of. We will answer all of your questions and be available when you need us the most. We will guide you through the design process and be there for you every step of the way. Every successful project takes planning and good communication. Our dedicated team will work with you to complete your project on time and provide support after the project is completed. We will continue to work with you until you are completely satisfied with the project. Rest assure that you will have a pleasant experience working with our team. The whole process was simple and easy. They were able to provide some custom features that were not available on our previous website. They were professional and completed the project on time. Working with Indiana Web Solutions was a great experience. They redesigned my website and also setup online advertising for my business. HIGHLY RECOMMEND them to anyone. Indiana Web Solutions provided me with a brand new website. I have been getting very good feedback from customers on the new website. I also did online advertising through them and I have started to get more calls for my business. My website was in need of an updated look. I was also looking for a mobile-friendly website. I was new to the process and they answered all of my questions. I would highly recommend them to any business! Jeff - President, Hi-Rise Sign and Lighting Solutions Inc. I contacted them because I needed my website redesigned and updated for my jewelry store. I also used Facebook for creating events for my workshops that I have. They found a way to integrate my Facebook events and posts in the website which has been a great addition. Indiana Web Solutions (i.Web) is an industry leading provider of web technology and business solutions for small to medium-sized businesses. 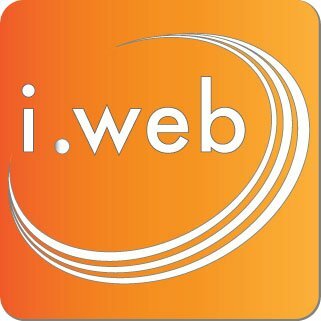 i.Web offers web design, hosting, online advertising, custom programming, database management, and marketing solutions. How can your business benefit from a database?